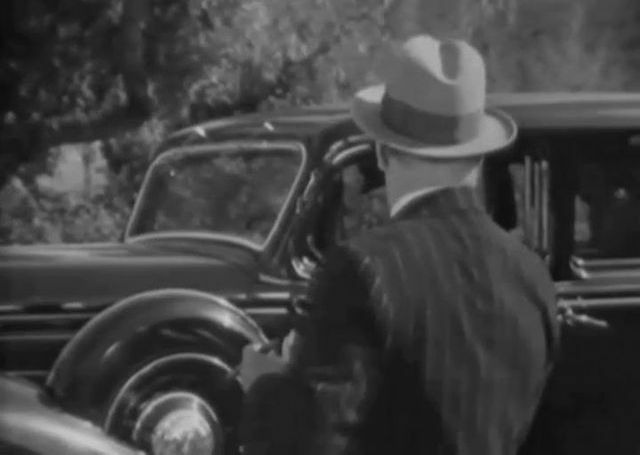 IMCDb.org: 1935 Pierce-Arrow Model 845 in "Dangerous Holiday, 1937"
Not a '33 Buick, the hubcap is too big. I think it is something more expensive. 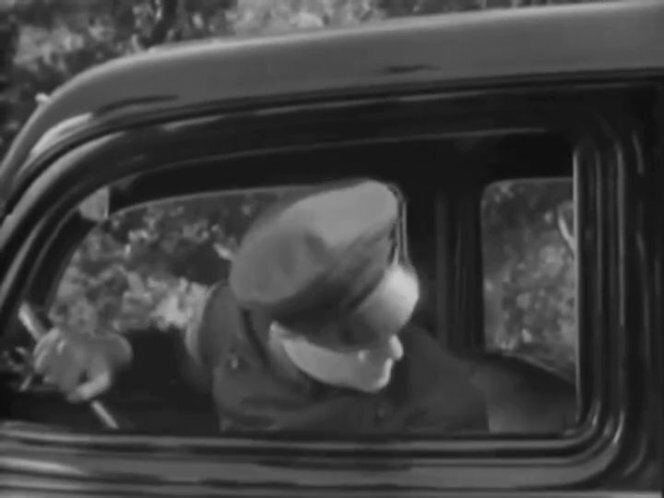 The small size, and shape - wider at the top than the bottom - of the windshield windshield, and also the curve of the front of the door window, leads me to think it is a Pierce-Arrow - around 1935-'36, the standard lower price sedan - Model 845 maybe?. http://automotivehistoryonline.com/Pierce-Arrow5.htm Note also the hubcap has a shaded ring around the outside.